Surface Impression worked with archivists and volunteers for an HLF- funded project to digitise and catalogue programmes, documents, tickets and photographs from the 110 year history of one of Birmingham’s leading theatres. 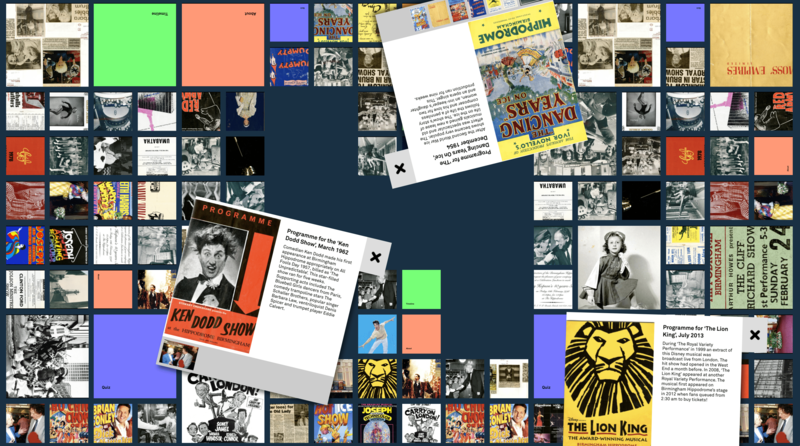 The results were “piped” from collection data to an online catalogue and to a highly interactive, custom interface through two 65″ touch tables situated in the lobby areas of the theatre, where theatre-goers can explore a curated selection from the archive in a fun and engaging manner. 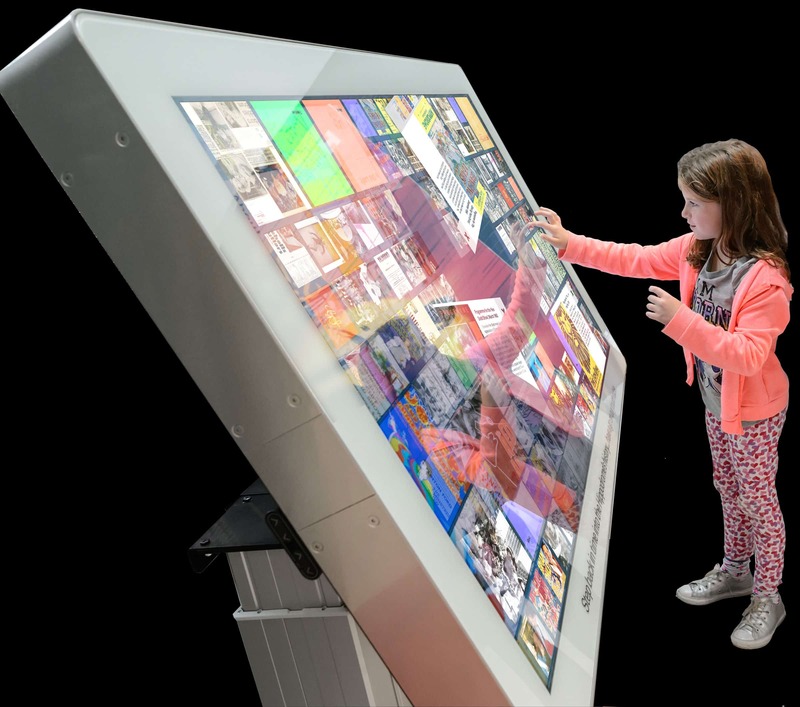 The touch table is entirely driven by a single-page HTML5 user-interface, with multi-touch gestures that support simultaneous usage by several people with content rotated to suit access from any side of the table. Content is loaded into the interface from a JSON feed from a WordPress back end, with a high degree of caching to reduce reliance on venue internet connectivity. 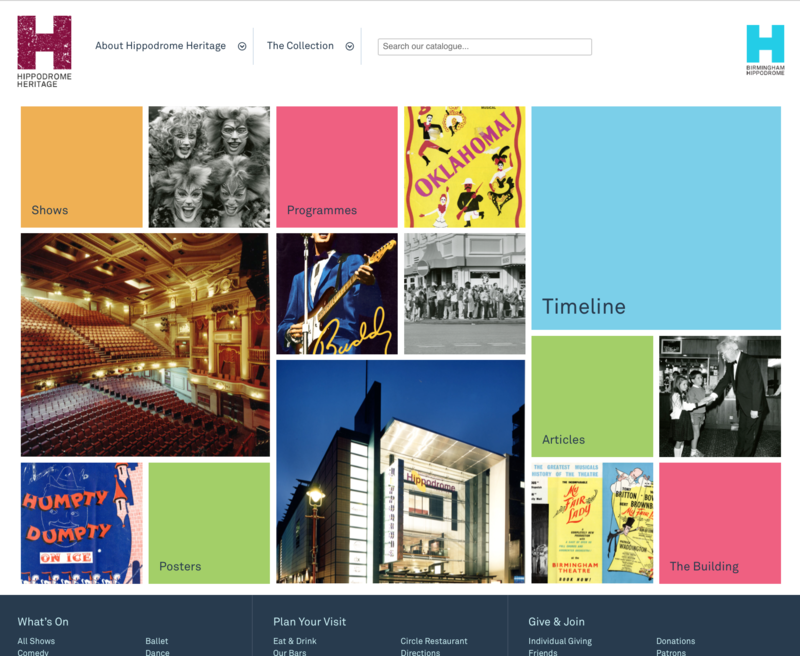 The same catalogue and supporting interpretation was also published online, through an entirely different interface, designed to match the main Birmingham Hippodrome website in style and navigation.